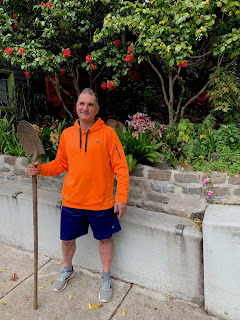 An almost identical version to the following was sent out within the last 24 hours to the full memberships of Cow Hollow Association, Noe Neighborhood Council, Haight Ashbury Neighborhood Council, Liberty Hill Neighborhood Association and Dolores Heights Improvement Club. Senator Wiener's latest - SB 50 - will be heard by the SF Planning Commission this Thursday, March 14th. Our hope is that this bill will eventually be killed as was its predecessor last year - SB 827. Coupled with any of the other bills recently introduced, this will be disastrous for Corbett Heights as well as for San Francisco. Please attend the hearing on Thursday if possible, or write letters. -- and disproportionally hurts San Francisco. Do you realize that if the Sacramento legislators who represent San Francisco get their way, the light, air, privacy, view, rear-yard open space and parking surrounding your home or apartment is at great risk of being lost, forever? State Senator Scott Wiener's new SB 50 legislation is his next attempt, after last year's defeated SB 827, that claims to help solve The effects of upzoning in Seattle. California's housing crisis and create more "affordable housing," yet this bill will actually do more for luxury builders than anyone else. If you follow the money, the primary backers include real estate developers and technology companies. SB 50's usurping of local control over zoning laws is keyed to a property's proximity to public transit, and in San Francisco, that affects 96% of the parcels. Throughout San Francisco, you will no longer have RH-1 and RH-2 designations (Residential Housing – 1 Unit/2 Units). Instead, all properties will be zoned as RTO (Residential Transit Oriented). This means new projects will have no density controls or parking requirements, and there is an incentive to demolish, merge lots and rebuild with luxury condos and a few token tiny affordable units. 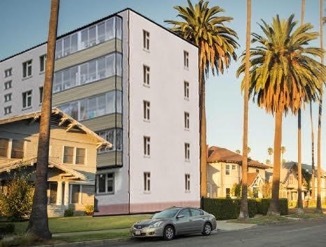 Here's the kicker: If a project includes these affordable units, it allows a developer to increase the height beyond current zoning limits and "pick and choose exemptions for themselves from the otherwise applicable local building limits": height, density, setbacks, lot mergers, parking, massing, exposure, rear yards, floor-area ratio, demolition, design standards and impact fees. Accordingly, the bill eviscerates local zoning rules by turning them over to Sacramento's legislated preemptions. 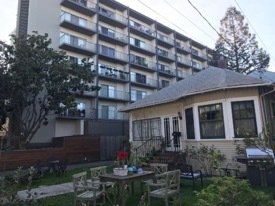 Imagine the house next door, across the street, or along Lombard now replaced by a seven (7) story high-rise, densely packed with units, with no light wells, covering the entire lot, and no parking -- the size of the Russian Consulate! SB 50 rewards unchecked speculation, kills cherished neighborhoods and significantly worsens housing affordability. If this sounds alarmist, it is not! This is exactly what SB 50 prescribes in an overwrought, unnecessarily heavy-handed and unprecedented preemption of local zoning, all in a vain attempt to solve an affordable housing shortage. your friends and family throughout California. San Francisco is disproportionately impacted by SB 50.
who are our San Francisco State Legislators (Wiener, Chiu, Ting) representing? 96% of San Francisco eligible for upzoning. 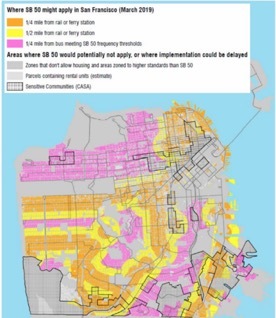 Residential development that is either within ½ mile of the Muni Metro, BART, Ferry or Cable Cars or ¼ mile from a frequently-serviced bus stop will be eligible -- SF Planning Department analysis of SB 50. The hidden consequence of this bill is the impact on our neighborhood from combining SB 50 and other affordable housing bills (State Density Bonus and Housing Accountability Act). 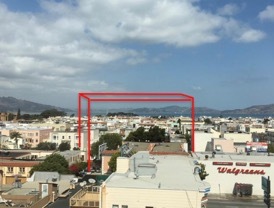 That would allow increased heights up to 70' in residential and up to 75' in our commercial districts (Lombard, Chestnut, Union, and Fillmore). 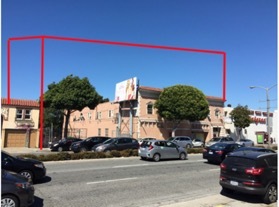 A recent example -- the new building on Lombard near Divisadero which used to be Blockbuster, then Wolf and Lion Pet Supplies had originally considered going up to 65' with inclusion of affordable housing units (State Density Bonus) but decided against it for concern over the neighborhood opposition to the height. 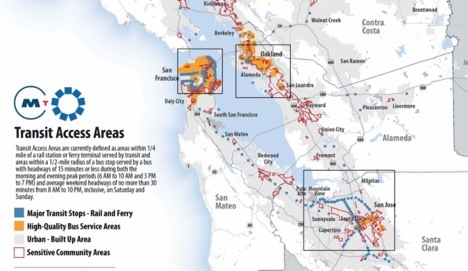 Projects in the future with SB 50 will be "by-right" and won't have to go before San Francisco's planning authority or respond to public opposition! Remove setbacks: Areas for trees, green belts, side yards, can be killed. Reduce floor area ratio: Building size/density can grow 47% to 297%. Eliminate environmental sustainability: Any development standard adopted by a city that isn't state law can be ignored by developers. Remove onsite open-space: Courtyards and balconies can be omitted. 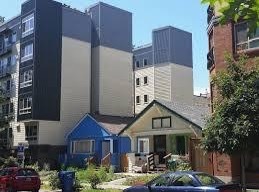 : Developers can demolish all buildings not on the California Registry of Historic Places. Most city building are not eligible, and of those that are, most are not registered. Remove exposure requirements: Allow windows that inhumanely stare at a wall. Encourage lot mergers: Up to 150 linear feet of frontage and possibly no limit with the State Density Bonus. Eliminates single-family zoning. SB 50 overturns single-family zoning in areas that are "above median income, jobs-rich with good public schools" and lack major transit. Local RH-1, RH-2, RH-3 and many other residential zoning codes will no longer apply. Rewards construction of up to 85-foot towers next to single-family homes. SB 50 encourages 75-foot and 85-foot luxury towers in single-family areas that are either close to transit or close to jobs and good schools. The limit is NOT 45 and 55 feet, as Wiener falsely says in SB 50, due to its interface with other state legislation (State Density Bonus). Up to 8-story buildings will be in areas currently zoned 4-stories if multiple zoning laws are combined and applied. Cities can't stop a luxury tower unless the project hurts public safety. SB 50 is weaponized by the Housing Accountability Act of 1982, quietly amended by local politicians Nancy Skinner and Scott Wiener in 2017. It bans cities from rejecting any "density bonus" project unless the development "puts public health and safety at risk, or on any property listed in the California Register of Historical Resources." Therefore, the onus is on the neighbors to claim and prove the risk. Otherwise the project proceeds. Demolition. Local anti-demolition laws are honored, BUT if the demolition of a home would result in even one more housing unit than presently, the demolition must be allowed. 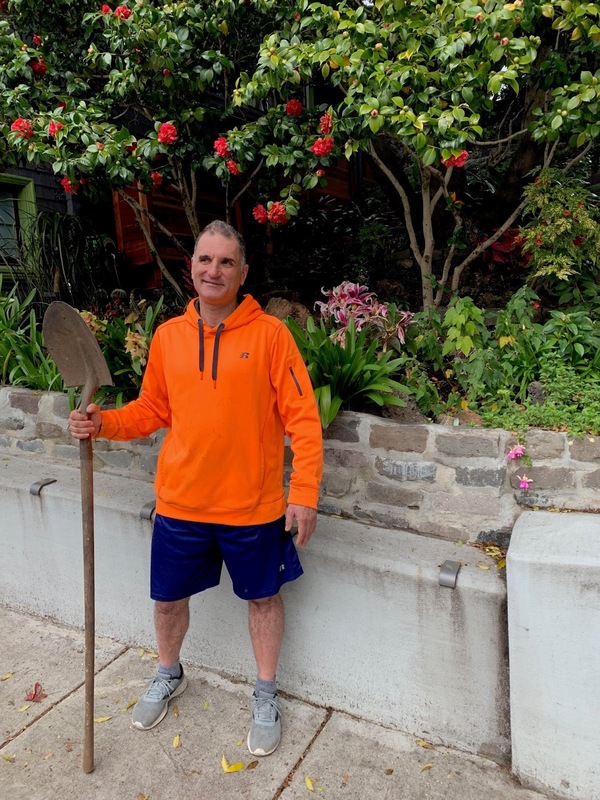 San Francisco's local demolition laws will be null and void. Zero parking requirement. This bill encourages severe density increases with no associated parking, on the assumption that everyone will ride public transit. There's been a decrease in public transportation ridership of 20%, and in reality, lack of parking will only clog the streets and highways with more Uber and Lyft cars. Read here. Turns developers into the fox guarding the rental hen-house. SB 50 utterly fails to protect renters. While it purports to temporarily prevent developers from razing "rental housing," only cities who keep a register of their renters can stop developers from misstating who lives there. SB 50 does nothing to address the infrastructure plans and costs that will be needed to accommodate all these new developments. How will California plan and pay for the increased needs of utilities such as sewer, water and power plus public transportation, schools, fire and police, parks, wear and tear on the roads and all aspects of infrastructure from this dramatic increase in housing in the U.S.'s already most populated state? SB50 provides no funding whatsoever for all this; instead foisting all those expenses on the cities and communities which it has preempted from zoning and sequencing the rate of additional housing so as to allow sensible planning. All of Corbett Heights is eligible for Upzoning. Our San Francisco elected representatives Scott Wiener, Phil Ting and David Chiu are claiming to help solve California's housing crisis with a statewide, one-size-fits-all solution. Meanwhile they are pushing through legislations that hurts the very city they were sent to Sacramento to protect. There is a housing problem, but the issue is AFFORDABLE housing (low to moderate income), and this bill does nothing to guarantee that that housing is built. In fact, it will encourage a proliferation of market rate, million dollar condos that do nothing to address the problem, meanwhile seriously impacting the local character of our neighborhoods - the very reason we chose to live here and the reason tourists love to visit. In San Francisco we currently have over 58,000 parcels of property that have been purchased and fully entitled/approved for development, but nothing is happening due to the high cost of building. SB 50 does nothing to provide funding for or subsidizing of housing. And with the estimated thousands of new millionaires from the IPOs of Uber, Lyft, AirBnB, Pinterest, etc. who want to live in San Francisco, there's added motivation for developers to use SB 50 to focus on luxury properties at the expense of the purpose of the bill -- affordable housing. There is no reason to expose 96% of San Francisco to virtually unlimited development just because the real estate developer and tech industries, their funded organization (YIMBYs) and our elected representatives Scott Wiener, Phil Ting, and David Chiu say so. Please let our representatives know your stance. Copy and Paste the addresses below into your own email. Share this email with your friends and family in San Francisco and all of California. San Francisco Planning Commission: Please email each one, as packets are already done.